What is lethal bole rot? Also known as basal stem rot or ganoderma wilt, lethal bole rot is an extremely destructive fungal disease that affects various palms, including coconut palm, arecanut palm and oil palm trees. 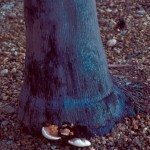 Read on to learn more about bole rot in coconut trees. The first symptoms of lethal bole rot include wilting of mature leaves, which turn bronze or yellow. As the disease progresses, a reddish-brown, yellow-edged dry rot develops on boles at the base of the trunk. You may also notice indentations lined with mold, particularly in the trunks of trees younger than four years old. You may notice a foul, rotted odor, primarily at the base of affected leaves. Bole rot in coconuts is usually indicated by molding of the fruits. Treating lethal bole rot is complicated and may not be successful. Lethal bole rot disease is nearly always fatal, although progression of the disease depends on age of the tree, climate and other factors. Afflicted trees, especially those in dry climates, may die within eight weeks, while trees in areas with higher rainfall may survive five to six years. 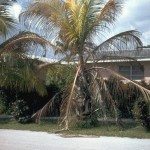 If you have palm trees, the best course of action is to contact a palm tree expert who has experience in palm tree care and disease diagnosis, preferably while your trees are still healthy and you can take preventive measures. If your tree is already affected, certain fungicides may be effective. Healthy trees are more likely to prevent development and spread of the disease. Pay close attention to proper drainage, soil aeration, fertilization, sanitation and irrigation. 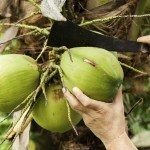 Now that you know a little about lethal bole rot and its symptoms, you may be able to catch the disease before it has a chance to completely take hold of your coconut tree (or other palm), making its recovery more possible.